So you’ve heard me write quite regularly about gut health in my Instagram posts, but you’re not really sure what I mean or why it is so important? If there is one thing we all need to get more in tune with, understand better and focus more on, it is by far our GUT HEALTH. Years ago I would never have guessed what was going on with my overall health had everything to do with my gut. Until I picked up a book called ‘The Body Ecology Diet’. Wow did that book rock my world. I then went on to watch the ‘Digestion Sessions’ http://digestionsessions.com/order/ to gain an even deeper understanding of our precious inner ecosystem. 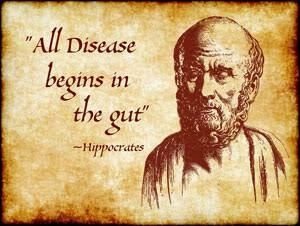 If the father of modern medicine Hippocrates stated that ‘ALL disease begins in the gut’, wouldn’t it be a good idea to focus on our gut health and the condition it is in, especially when it comes to sickness. And yet in the 27 years of my life no one has ever taught me about my gut and the significant role it plays. To put it simply, our gut health is EVERYTHING. When I started to put a major focus on my gut health over a year ago, I began to feel better than I have ever felt before. I’ve gained so much mental clarity, my skin conditions have cleared up, I feel energetic and light, I am a lot more calm as a person and I very rarely get sick. Before I decided to try to start a family, I wanted to make sure my gut health was in top condition. So I spent 6 months prior to falling pregnant concentrating on pre-conception care as I knew my baby would inherit my microbiome at birth. The birth of my son didn’t go quite to plan and I ended up having a c-section. This meant that I had to have a concoction of drugs and antibiotics. I knew the antibiotics would wipe out all of the hard work I did to ensure my gut was healthy and strong. In fact I knew my gut wasn’t right because the eczema on my arms (which I hadn’t suffered from since changing my lifestyle) flared up again. So for the first 6 weeks after giving birth, I made sure I did everything I could to restore the balance of bacteria in my gut, by taking probiotics, drinking bone broths and eating lots of fermented foods. Today, 7 months later, I can happily say that my eczema has disappeared again, my gut is feeling stronger and is well and truly back on track. If you find yourself suffering from skin conditions, allergies or other ailments, this is what I would suggest. Focus on your gut health. You will be surprised just how the health problems you’re dealing with right now have actually started from your gut and are signals from your body telling you to take better care of your colon. So educate yourself about what’s good for your gut (and what’s not) and start applying the new information you learn to your lifestyle. There are lots of different fermented foods and drinks that contain billions of probiotics but if you can’t get your hands on fermented food (or you’re not a fan of the taste) then I recommend a good probiotic supplement. 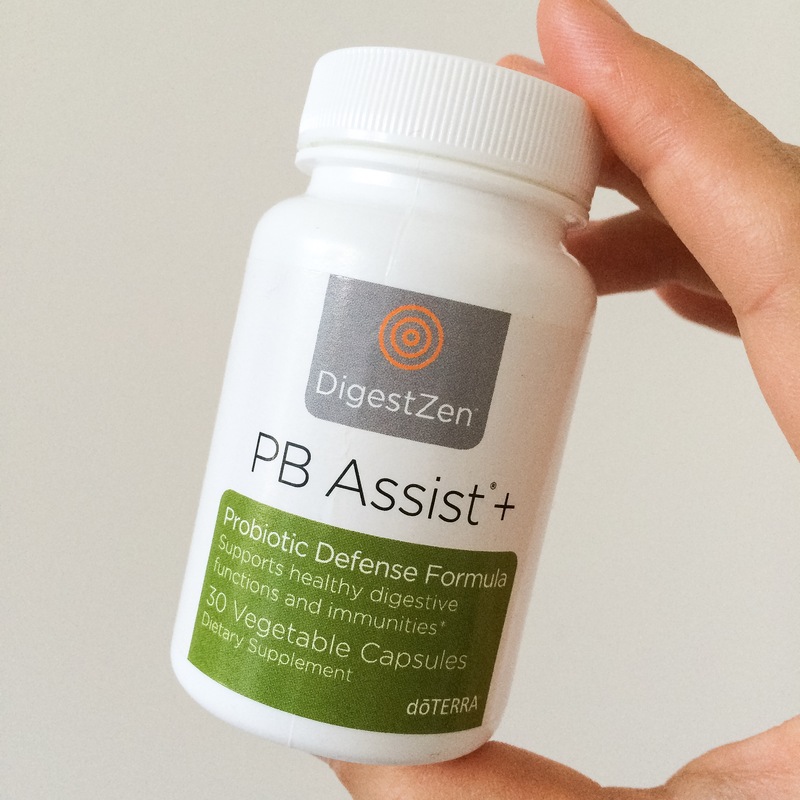 It’s important when choosing a probiotic supplement, make sure it is derived from natural sources and is encased in a vegetable capsule. Your body can easily digest and absorb veggie capsules with natural ingredients much better than synthetic chemically-made ingredients. Fermented food and drinks have been around for thousands of years and the health benefits for your digestive and immune system are in a class of their own. I love kombucha, kefir, sauerkraut and apple cider vinegar. Every day I am either eating fermented food or drinking a fermented drink. 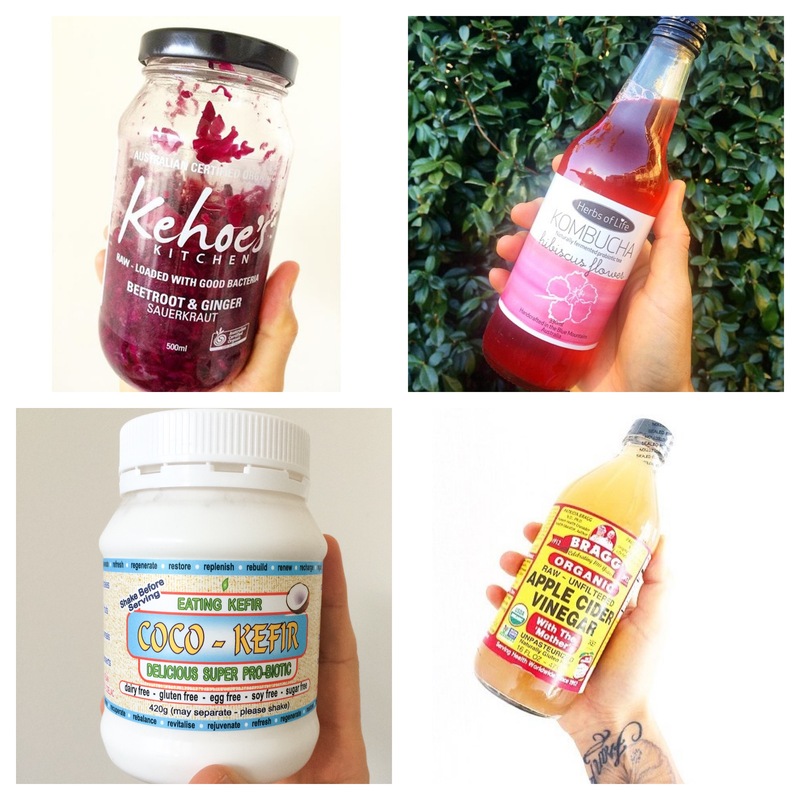 Today there are many different companies providing a wide range of fermented products that taste delicious and are so good for your guts! You can find fermented goodies at farmers markets or a good health food store. Or if you’re feeling really creative, try and make your own. Incorporating fermented foods into your lifestyle will help build more good bacteria in your gut, eliminate toxins, rejuvenate your cells and significantly strengthen your immune system. 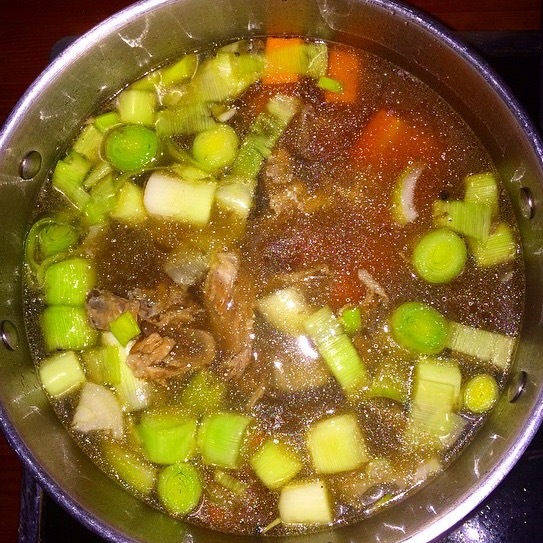 Bone broths are extremely beneficial for your gut and immune health. They are rich in nutrients and the minerals are easily absorbed by your body. Bone broths help to heal your gut lining and significantly improve digestion. They also build strong immunity, have joint-healing properties, fight inflammation and naturally detoxifies your body. Instead of waking up to a cup of coffee in the morning, I wake up to a cup of bone broth to give me the nutrients and energy I need to start my day. Today colon cleansing is more vital than ever before. With the amount of toxicity we take in daily through unhealthy diets, fluoridated water, skin care products full of chemicals, pollution in the air and the environment – detoxing is crucial. I encourage my family and friends to have colonics done at Release Wellness Centre in Newtown, Sydney. It’s important to understand that at Release they offer gravity-centred colonics and is the only centre in Australia that offers this method. They do not use machines, motors or pumps, making it completely safe and natural. Colon cleansing is a big part of my lifestyle and the benefits you feel after a colonic speak for themselves. You can eat all the right foods and excersise all the time but if you’re not detoxing and moving out your toxic waste properly, it will stay in your colon and your body will keep reabsorbing the toxins. Colon cleansing in particular has been one of the best ways I’ve ever taken care of my body. If you are sick or living with a chronic illness, look to the gut for answers and long-term solutions. How well you feel and how well your body functions, has everything to do with your gut health. Your gut holds the key to strong immunity, mental clarity and optimal health. I’ve enjoyed reading & following your posts / journey, and constantly thought I have to do something & make some changes… You’ve def made me think twice about health & wellbeing. Time to stop thinking & start doing… Here I go. Thanks for being an inspiration!